A2P SMS are majorly used by retail and e-commerce industries for completing excess amount of sales. Businesses are widely using bulk SMS services for engaging customers. The process of A2P SMS to gain customers are continuously improving and delivering good returns. Broadnet A2P SMS service is surely a well-trusted way to send SMS to your target audience around the world. 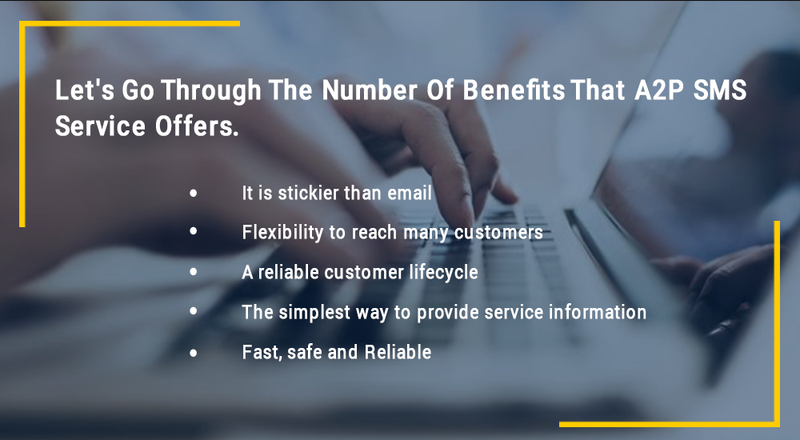 BroadNet’s A2P SMS service is trustworthy, secure, cost-effective, ubiquitous, direct channel and inevitable for business to reach their target customers. This technology is ruling the mobile industry for many years. From a service information channel, it has been transformed to the communication channel. SMS can be delivered to any device by using A2P (Application to person). 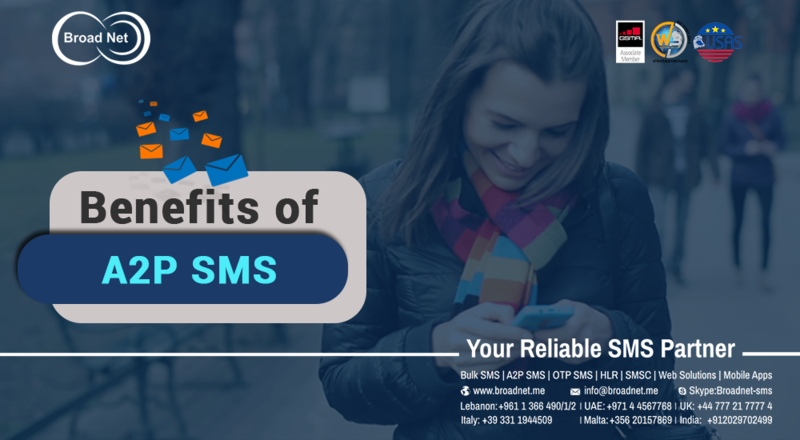 Let's Go Through The Number Of Benefits That A2P SMS Service Offers. SMS can be delivered to the customers at a fast rate. It is likely to get read within a few minutes it is sent. The customers respond to an SMS more quickly and more seriously than an email. Emails can be ignored following the tendency of their spam nature which is not in the case of SMS. When a business wants to deliver a message to a specific target they use one way messaging to handle the mass traffic. But in the case of communicating with customers businesses use two-way messaging to create a dialogue. Whatever is the case the use of company name in the header and introduction of unique code in the message will make the campaign a success. There is a variety of A2P SMS that benefits customers by giving them the authority of instant interaction. A2P SMS used for product information, reminders, coupons, vouchers loyalty programs, authorization, authentication and order information. The Company can provide all the information related to the product to the customer such as product code, package detail, and ready to pick up etc. BroadNet’s A2P SMS service is safe and reliable and keeps hold on customer's data.